Let us help you relieve your: migraine headaches, pinched nerves, sciatica, carpal tunnel, stiff neck, strains and sprains, TMJ, constipation, lower back pains, mental stress, tendonitis, arthritits, knee pain, shoulder pain, leg pain and subluxation, and more. We also specialize in: relaxation, Kukakuka, Ho'oponopono (conflict resolution), energy alignments, and posture/structure alignments. 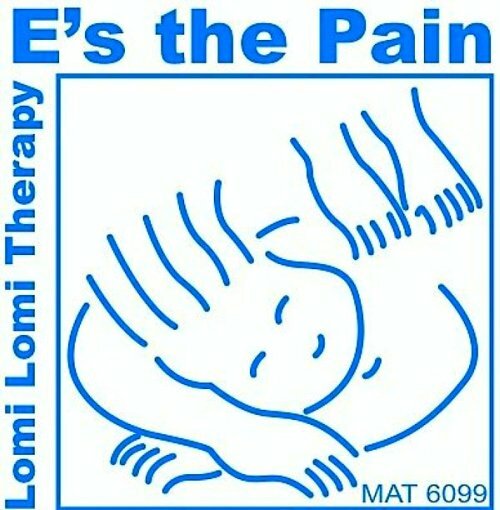 First Timer's, Check out what the client's of "E's The Pain," have to say about their lomilomi sessions!